This is a view from the road up to Kilchoman towards Rockside Farm and the Paps of Jura. 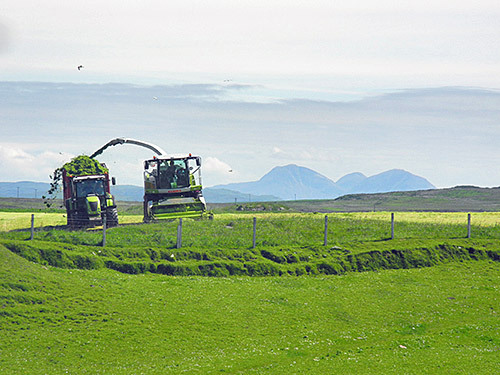 Farm work under the backdrop of the Paps of Jura on a beautiful sunny June day. And that is all for tonight. Bedtime for Armin. Good night, if all goes to plan more blogging over the weekend.